If you want to find how much our qualified end of tenancy service will cost, contact our 24/7 customer care. It is possible to do this through calling 020 3404 0500 or by using the online contact page form. To ensure that no money is withheld for cleaning prices by your landlord, book our professional and top quality assured end of tenancy cleaning service instantly! Excellent Carpet Cleaning is specialised in delivering a efficient and excellent move in and out cleaning service. All of our specialists are hired based on individual recommendations and are carefully vetted and trained. Through the years of practical experience in tenancy cleaning, our end of lease cleaning company has developed a really specific cleaning checklist for the move out cleaning service, which covers any items or areas which is usually checked by a landlord or property owner for cleanness. We have spent in purchasing the perfect qualified cleaning machines, tools and treatments for the ideal results. 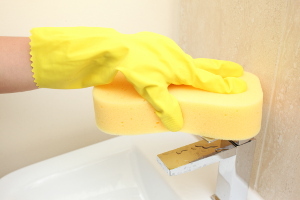 Our bond back cleaning will ensure that not a penny of your own tenancy deposit is keep back for cleaning services from your landlord or rental property manager. Our crew of cleaners will arrive at your property with the specific cleaning checklist of all products and places which your landlord or property manager will be checking before giving their bond back. The service has no time limit, and the team of professional cleaners will remain and clean until all things are inspected as done. The 48 hour 100 % satisfaction ensure we provide means that in case you or your landlord are not happy with our work, we will revisit and clean up once again for free! The booking procedure is effortless and also fast. Get in touch with 020 3404 0500 or make use of the online reserving request form here. We are accessible always available and will process it within the following 2 hrs. No advance payment is required. The price is fixed, no hidden fees. Our regular clients, property agencies and landlords receive preferential costs. We offer a 48 hour client assure, so if you want to be certain that you receive your tenancy deposit back in 100%, make certain to let us do the moving out cleaning for you!